Go Hydrology! : Summer drought of the big rains? Summer drought of the big rains? Where have all the Big Rain Days (BRDs) gone? We’ve only had two so far this year (we average six per year) … and have yet to have one since the start of the wet season in May. Rains are as big as the sun, i.e., evaporation, is intense. What exactly is a Big Rain Day? The calendar graph below shows a full history of south Florida’s Big Rain Days from 1992 to present. BRDs are shown on the chart as the blue dots. The larger the dot the bigger the BRD. Among the biggest were Fay in August 2008 and Mitch in November 1998. But even the smaller blue dots are regionally significant days of rain. BRDs are formally defined in Webster’s Dictionary* as any day in which 1 inch or more of rain was recorded across all of south Florida. It’s one thing to record multiple inches of rain at a single gage, or a cluster of gages in one basin, but it takes the arrival of a huge weather system to spread a full inch (or more) of rain across all of south Florida from the Kissimmee headwaters on down. These are overnight hydrologic game changers. Do you see the other? When do Big Rain Days occur? The natural assumption would be the summer wet season, and to a point that is correct. Over the past two decades, sixty percent of the Big Rain Days have fallen in the wet season months of May through October. Surprisingly, July – smack dab in the middle of our rainy period – is the single most least frequent month. The biggest month is June: It accounts for one of every five BRDs. Combined, they account for one of every four BRD. Continental fronts, not tropical weather, bring us our dry season BRDs. So I wouldn’t count this year out just yet. Big Rain Days are not included in Webster’s Dictionary just yet, nor in any of my meteorology text books, although – for the record – I think it definitely should be. 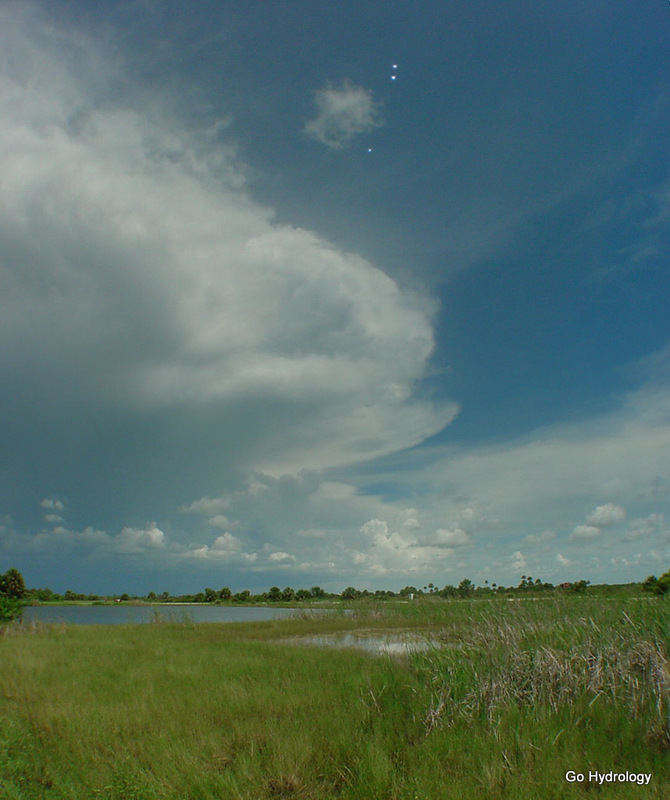 The term was coined by meteorologists with the South Florida Water Management District in West Palm Beach. Even one big rain day in Utah would be a huge event. But I'm surprised you haven't had any in Florida this summer.